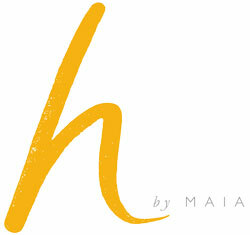 This website www.hbymaia.com (the ‘website’) is owned and operated by H Formulations Ltd. (“we”, “us” or “our”). These terms and conditions apply to the use of this website and by purchasing using this website, you agree to be bound by the terms and conditions set out here. These terms and conditions apply to all transactions on this site and do not affect your statutory rights. If you are not in agreement with anything within these Terms and Conditions please do not continue to use this website. If you have any questions about these terms please email us. We may amend these Terms and Conditions from time to time by updating this page, therefore you should check this page before purchasing to ensure that you are happy with any changes. All h by Maia formulations are handcrafted using natural and organic ingredients sourced from certified companies. All formulations have been safety assessed and certified, and comply with European Cosmetic Regulation EC 1223/2009. All formulations are free of preservatives and have a shelf life of 12-18 months. To ensure best quality, products must be stored in a cool and dry place, away from sunlight. Water should not be allowed to enter the product in order to avoid mould and bacterial contamination. H Formulations Ltd holds full Product and Public Liability Insurance. We take care to ensure all details, descriptions and prices of products on this website are correct at the time of posting; and make every effort to keep this information up to date regularly. All prices listed on this website are listed in UK Pounds Sterling and all product prices exclude delivery charges. Prices are subject to changes due to fluctuating costs of raw ingredients. If an error is discovered in the advertised price of the goods that you have ordered, we will contact you as soon as possible to inform you and give you the opportunity to continue with the order at the amended price, or to cancel the order altogether. We accept online payment through PayPal, allowing you to pay by credit, debit card or your PayPal account. You are not required to have a PayPal account in order to pay by card. Credit card details are captured within a secure payment system and therefore no card details are ever stored on computers belonging to us. When you place an order you will be sent an order confirmation detailing your order. Payment must be received by us in full before your order can be accepted and dispatched. Please be aware all our products are handcrafted in small batches to ensure quality and freshness, therefore should we have a high volume of orders it may take up to 48 hours to dispatch your order. Your goods will be delivered to your chosen delivery option. Should you wish to make a change to your delivery address, please contact us immediately and we will make the change providing your order has not already been dispatched. Postage and Packaging costs within the UK are listed on the website. For deliveries within the UK, we currently use Royal Mail, who aim to deliver your parcel within 2-3 working days. If you are out when delivery is attempted, it is Royal Mail’s policy to either leave packages with a neighbour, in a safe place or return it to the sorting office. In such cases Royal Mail should leave a notification card. Please note quoted delivery timescales are indicative only and we cannot accept liability for delayed delivery caused by any third party. In addition to this we are unable to investigate lost packages through Royal Mail until 15 working days from the due date of delivery (in the UK only). If you are unsatisfied with the delivery service, please contact us and we can make improvements as appropriate. For queries about deliveries outside the UK please contact us by email or telephone. We take pride in the quality of h by Maia formulations and hope you will be happy with your purchase. In the event that you are unsatisfied with your purchase please notify us immediately by email or telephone so that we can resolve any problems. If you are not completely satisfied with your purchase we will offer a full refund, exchange or replacement. Goods must however be returned unopened and unused in their original packaging, within seven working days from the date of receiving your order. We ask that you please notify us of your product return by email, containing your name, address, order number and reasons for return. Please return goods by recorded delivery and retain the recorded delivery receipt as proof of postage. Refunds are not available on sale items, unless they are faulty. Should you wish to cancel your order before it is dispatched, please call or email us as soon as possible with your name, address and order number. Please be reminded however that we aim to dispatch all orders within 24 hours, and if possible the same day. If your order has already been dispatched, you may still cancel as long as you do so within seven working days from the date of receiving your order. In this instance please email us to inform us of your cancellation with your name, address and order number. Goods must be returned unopened and unused in their original packaging, by recorded delivery and we ask that you retain the recorded delivery receipt as proof of postage. For hygiene reasons we are unable to offer refunds, replacements or exchanges on any opened or used goods. On receipt of your returned goods we will check all items and email you to confirm details of your refund, replacement or exchange. Please note that delivery charges will not be refunded. H Formulations Ltd owns all the content of this website including, but not limited to text, photographs, logos, graphics, trademarks and product names; which are protected by UK and international copyright, trademark and intellectual property rights laws. Reproduction, in whole or part, of this website is prohibited without the prior written permission of H Formulations Ltd.